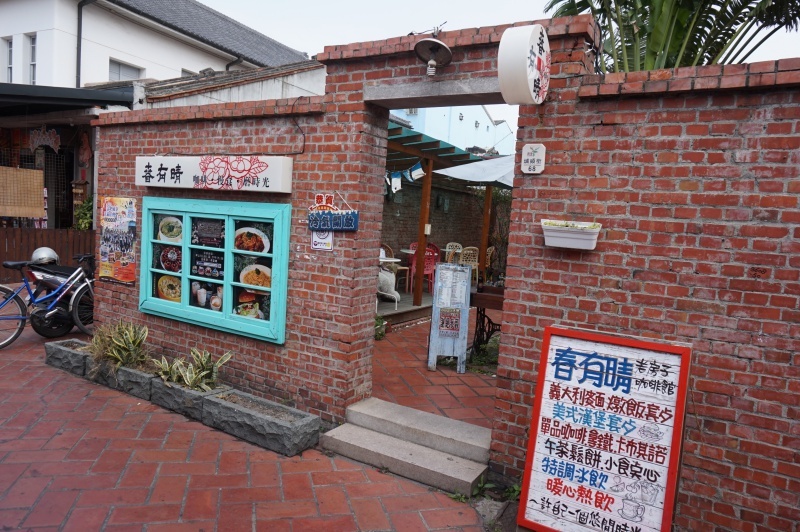 Lu Gang is a township in Changhua 漳化, about an hour’s car trip from Taichung city. 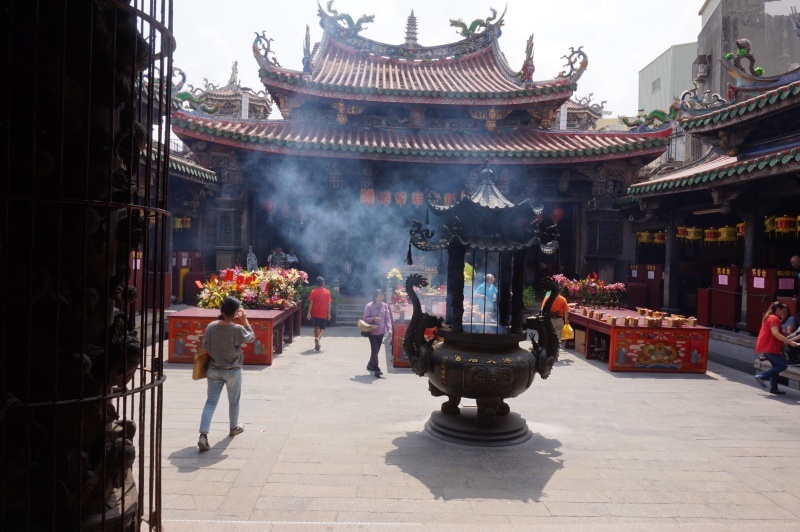 It is one of the oldest towns in Taiwan that can be backtracked to the Qing Dynasty as a major trading port in Taiwan. 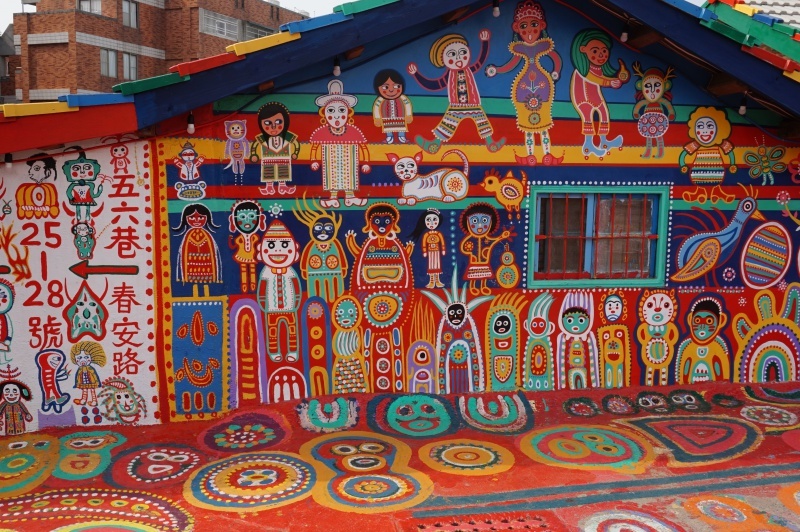 If you are on the way to Lu Gang, you may want to consider dropping by the Rainbow Village. 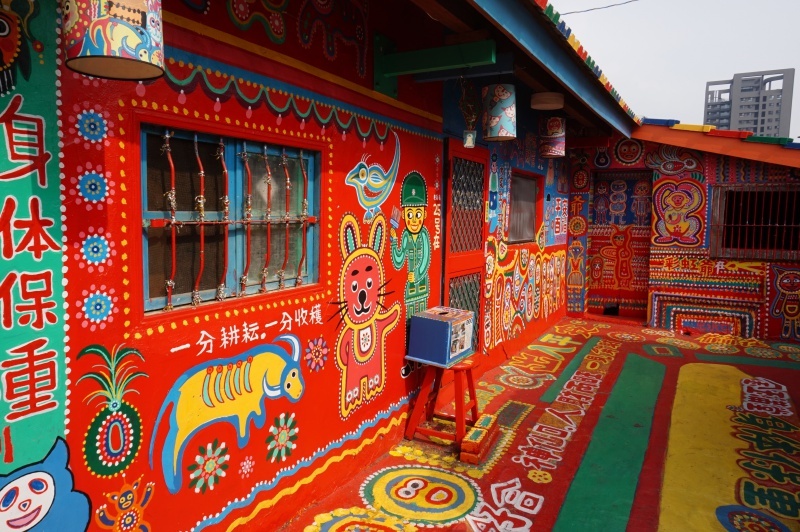 The Rainbow Village (彩虹眷村) is a street art created by a talented 90′ plus year’s old former soldier, Huang Yung-Fu. The small village made up of a few single story houses and to save them from demolition for redevelopment. 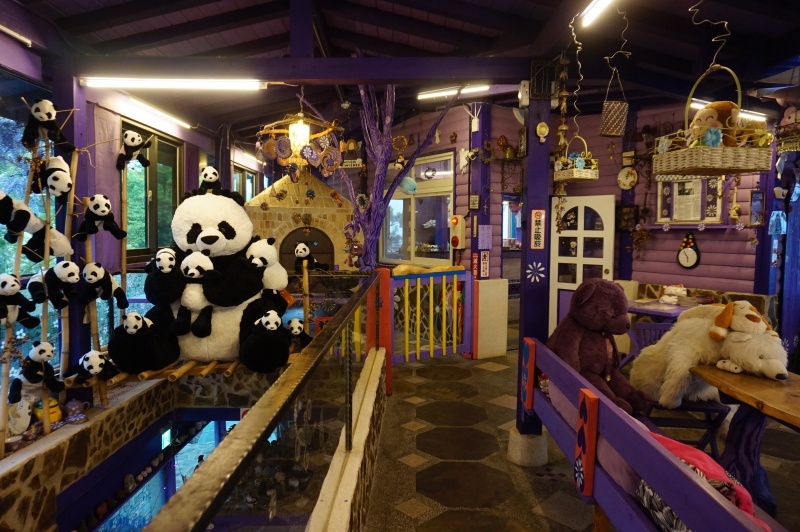 Over the years, Mr Huang painted the place with colourful artwork, which includes birds, animals and people, the walls, doors, windows and even the floors are the his masterpieces. His efforts are finally being acknowledged by the local government and he was able to preserve the art house as part of the tourism attractions. Lu Gang is a town mainly visited by the locals, and foreign tourists are relatively a rare find here, which makes the place less vulnerable to commercial influence. 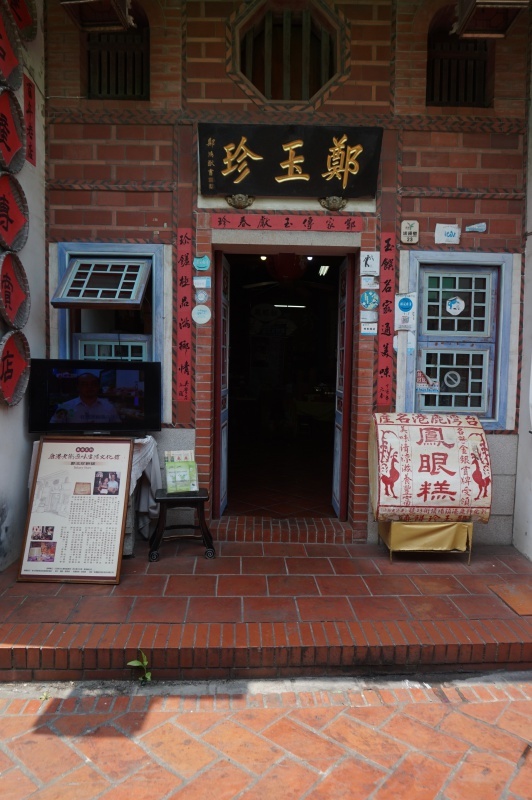 We started our tour at the junction of LuCao Road 鹿草路 and Zhong Zheng Road 中正路 towards the TianHouGong天后宫 direction. 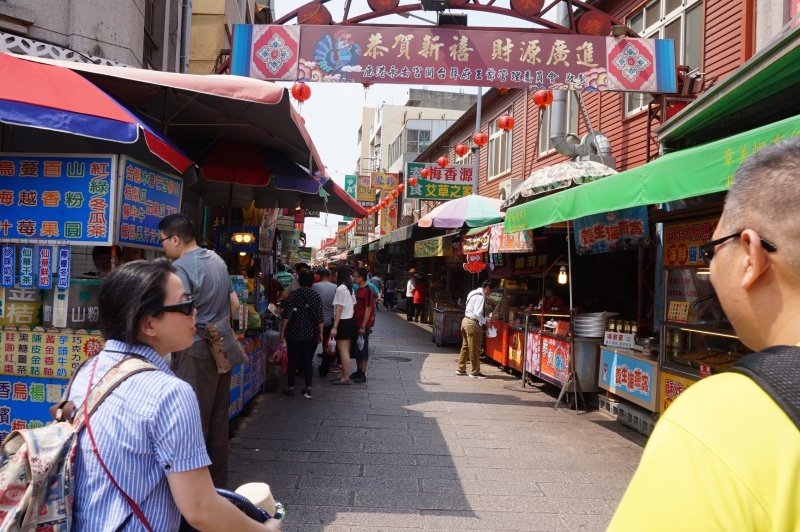 You can find plenty of eateries along the streets, mostly local snacks eg. fried seafood, candy, pastries, zichar, bbq etc. With many choices, we can only selectively pick some to try. 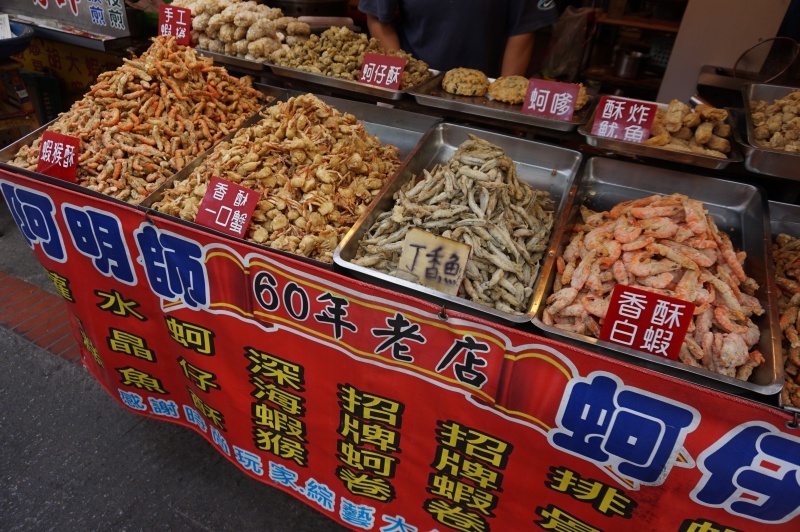 Lu Gang is abundant with seafood, deep-fried seafood is prevalent in this area and quite a number of stalls selling similar seafood. We tried the baby prawn, fish and baby crabs but they were just too fishy for our liking. 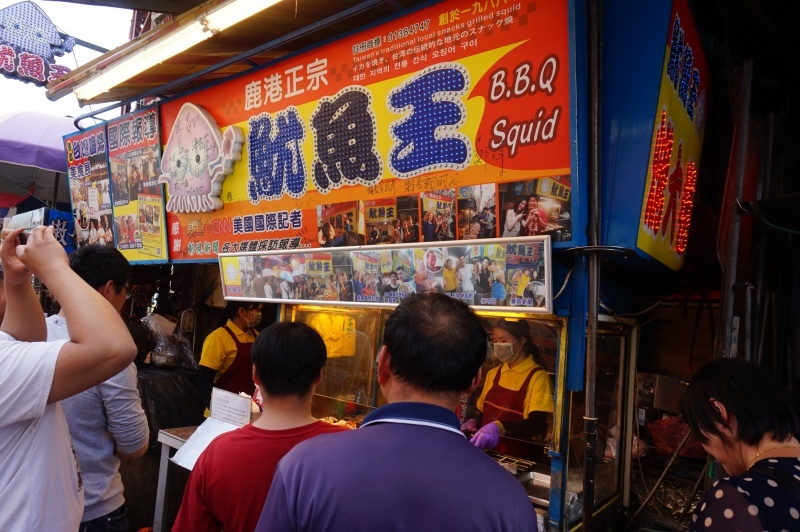 The stall has numerous accolades displayed, big fresh cuttlefish were grilled on the spot, with a special sauce was brushed over them and grilled to perfection. A chewy and a tasty cuttlefish. Don’t miss out the freshly made Almond cookies or Pumpkin seed cookies. Crispy and fragrant cookies that are extremely addictive. We packed a few cans back just to satisfy our cravings. 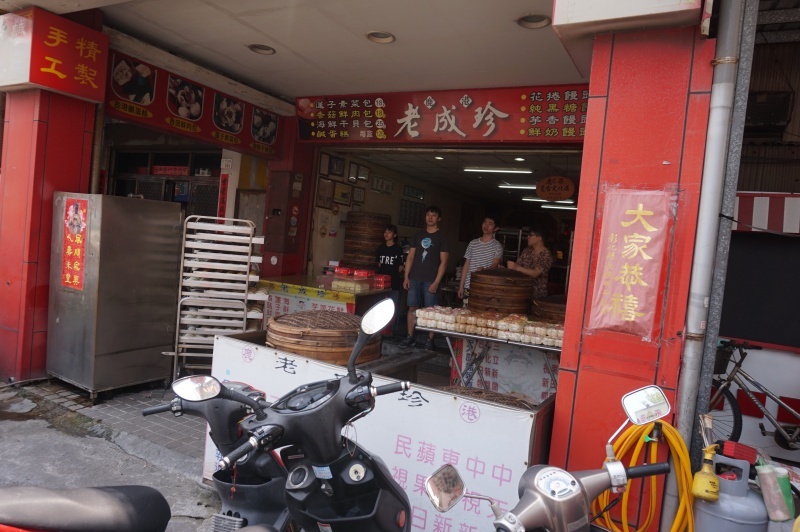 We can’t locate the unit number but it is one of the roadside stalls along the Ming Sheng Road民生路. 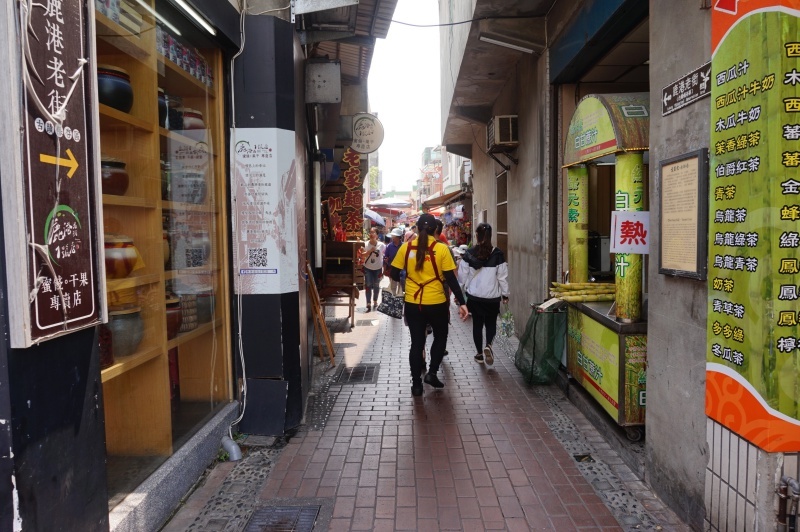 Half way through Ming Sheng Road 民生路, we diverted to Putou Street 埔头街 which leads you to the Old street 古市街. The main attraction of Lu Gang centred around the Old Street. 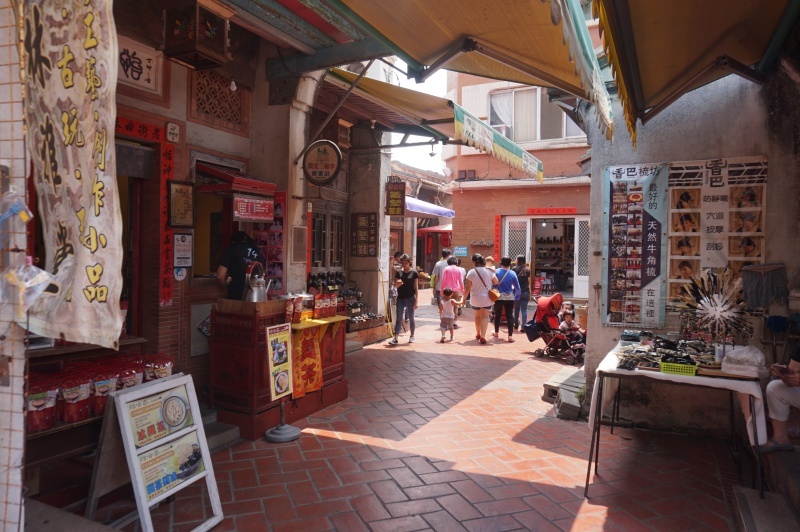 Ancient red-brick or wooden built houses have been restored and preserved, the whole stretch of old street are converted into shops offering different merchandises, ranging from local snacks, handicrafts, cafes and eateries. 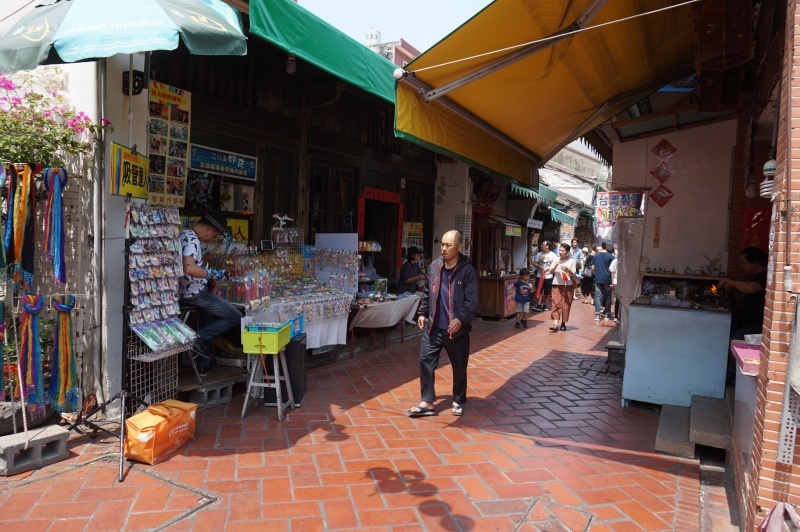 The walking path in between the shops is laid with red bricks and out of bound for vehicles, providing a clean and safe place that allows you to appreciate the historical site fully. 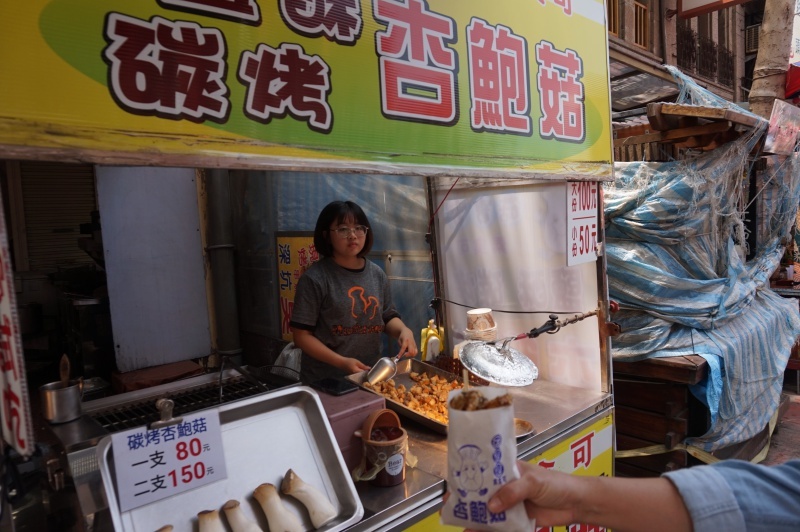 The array of local snacks available are quite extensive and we only managed to sample some of them. 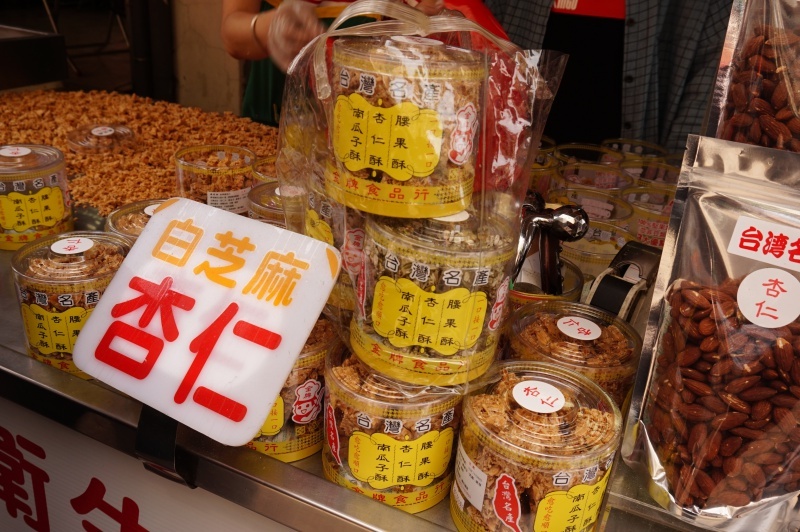 One of the popular brands from Lukang, a brand with century-old history selling various cookies. Some recipes have been passed down since the Qing dynasty, we tried the assortments of green bean pastries and they were kind of likable with their subtle tastes and fine texture. 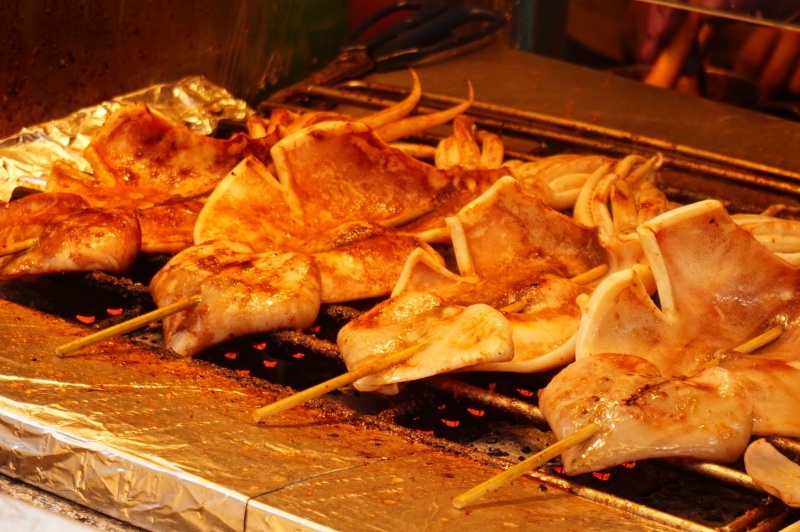 Chopped King Oyster mushroom was seasoned and charcoal grilled, another popular snack not to be missed. 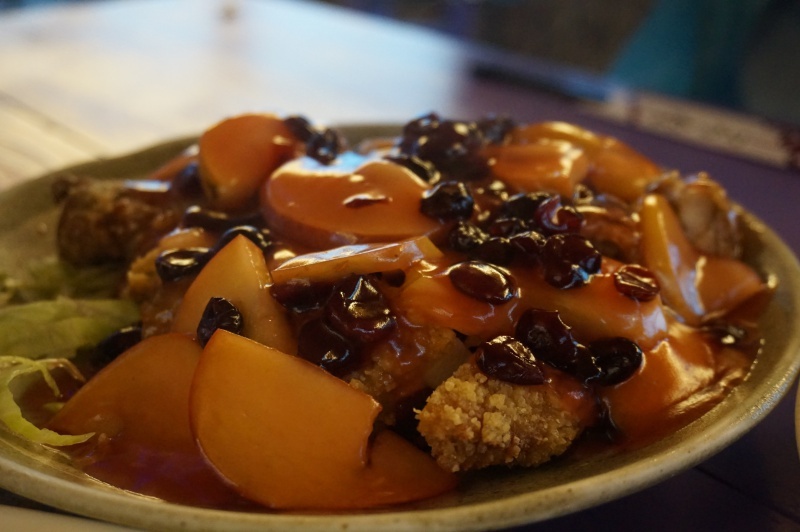 LuKang is famous for their pau. 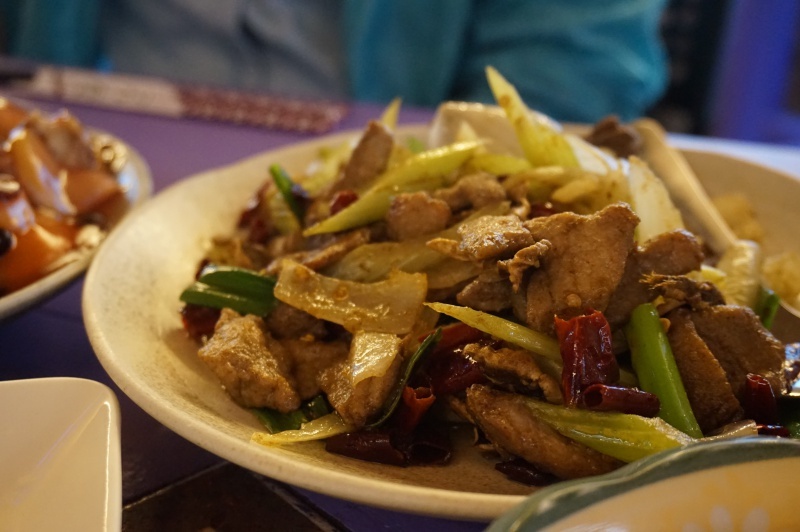 We tried two of the brands Lao Cheng Zhen 老成珍and Qiao Wei Zhen 巧味珍, the meat pau and vegetable pau were acceptable, not to the level that will make you dream about it. 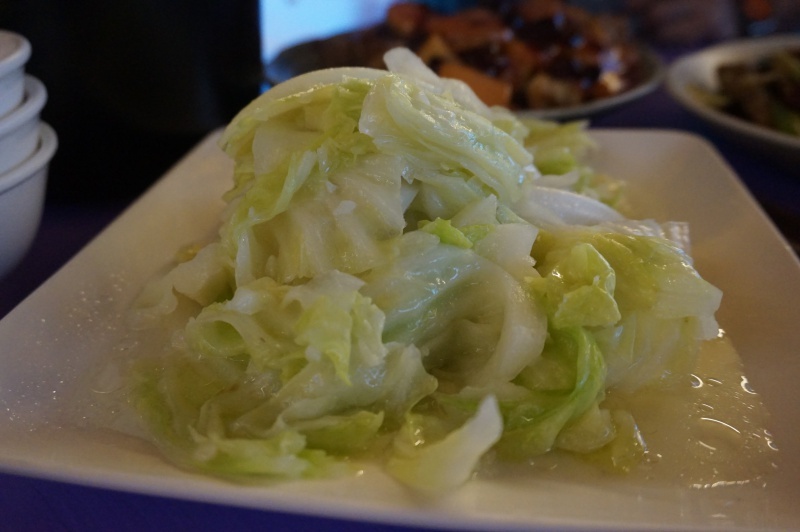 We departed from Taichung and headed straight to Cingjing 清境农场 for the fresh and cool air. 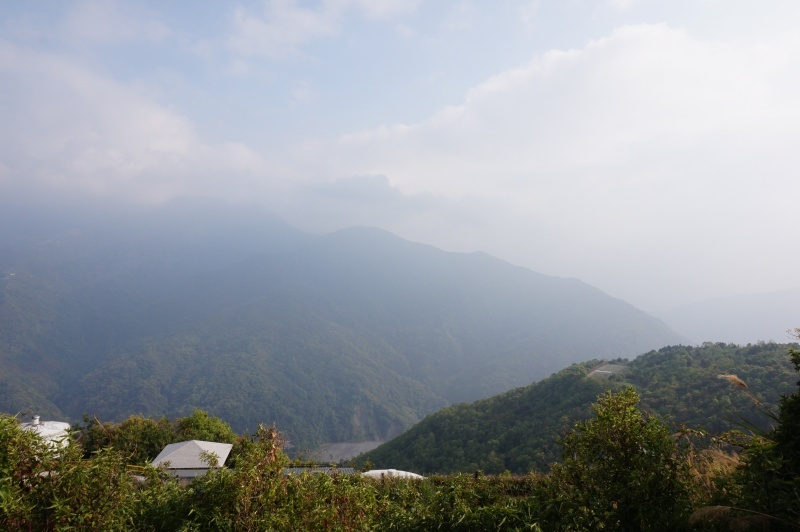 We had our lodging in a farm house near to the peak, spent a night there and visited a few scenic places nearby. 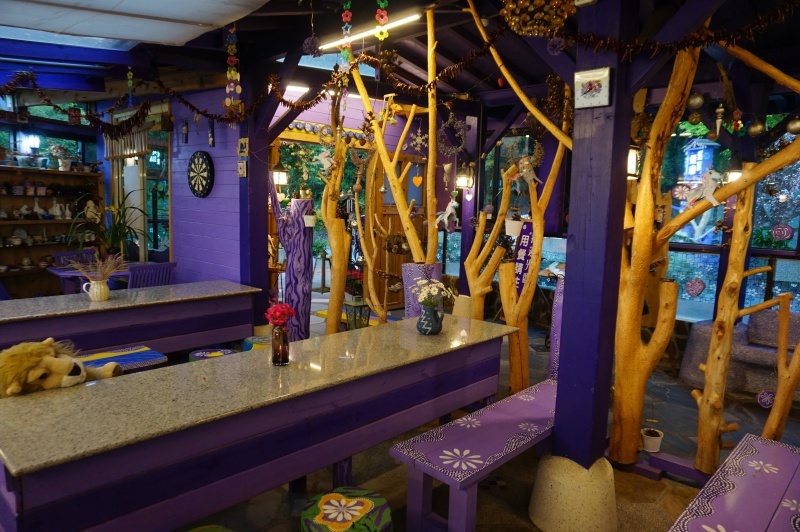 However, it is the Margarita’s Garden or Purple House that impressed us. 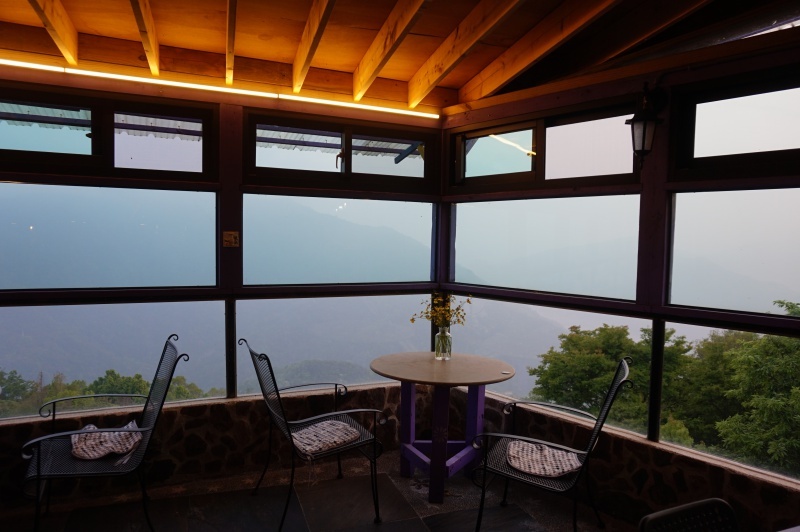 The cafe which is less than a hundred metre away from the farm house consists of three level building located on the edge of the mountain. 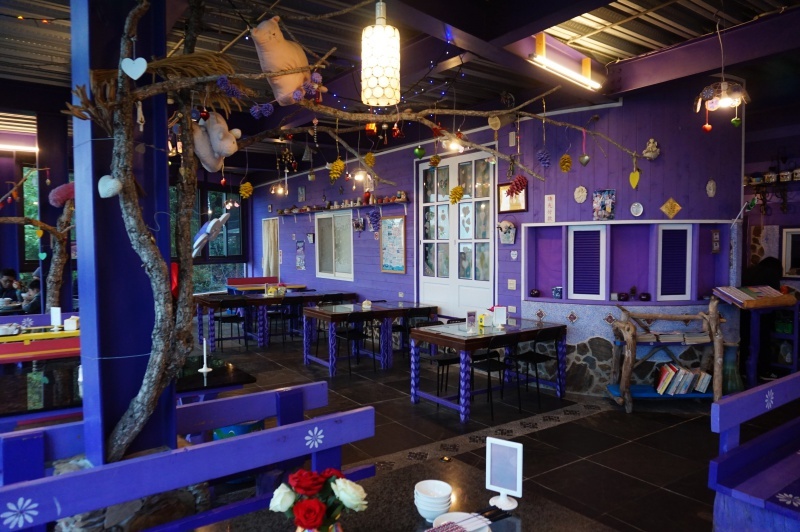 The huge cafe divided into different sections for the kids, casual and large room for big group dining. 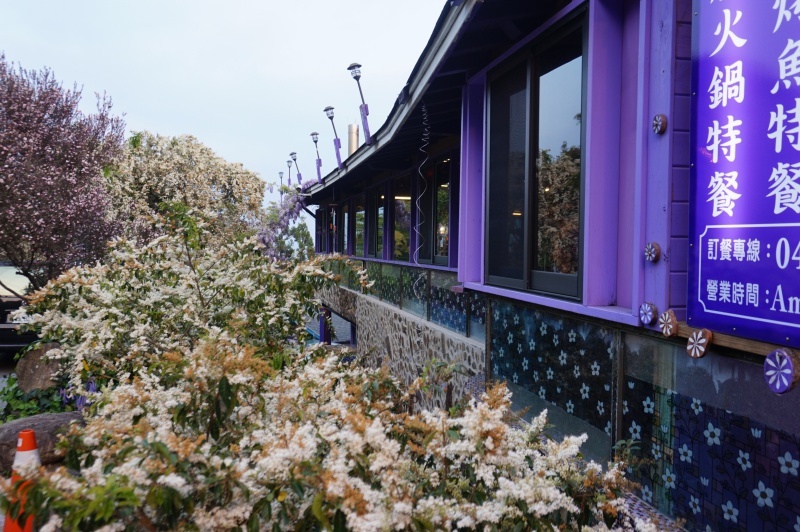 Purple is the theme here, from the exterior to the interior, every side of the wall was painted with purple colour. Purple may associate with the elements of soothing and calmness, a harmonious blend with the sea of mountainous green surrounding. The cafe features different themes at each level. 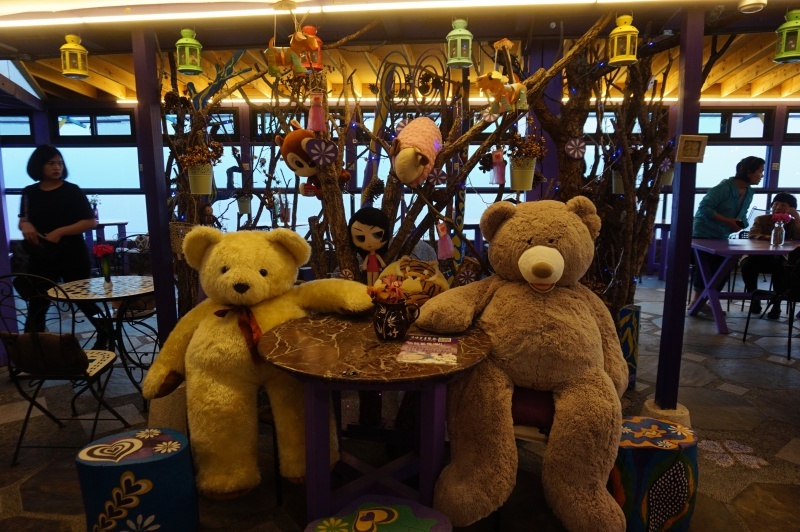 Ground level is kid’s zone, heightened by the lovely toys and bears all around the places, one level below is another dining area with clear glass windows with magnificent mountainous views. The lowest level provides individual rooms for special events. 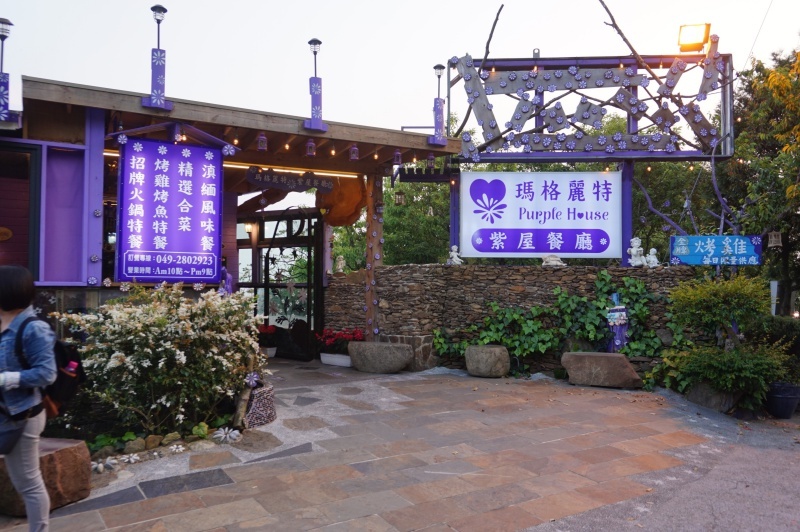 Margarita’s Garden or Purple House specialised in Yunnan Burmese cuisine. 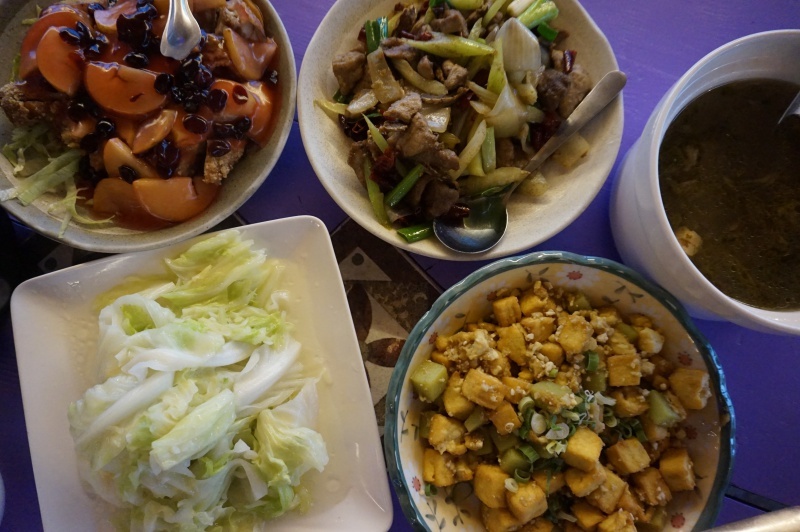 All the dishes were surprisingly full of flavour and tasty. 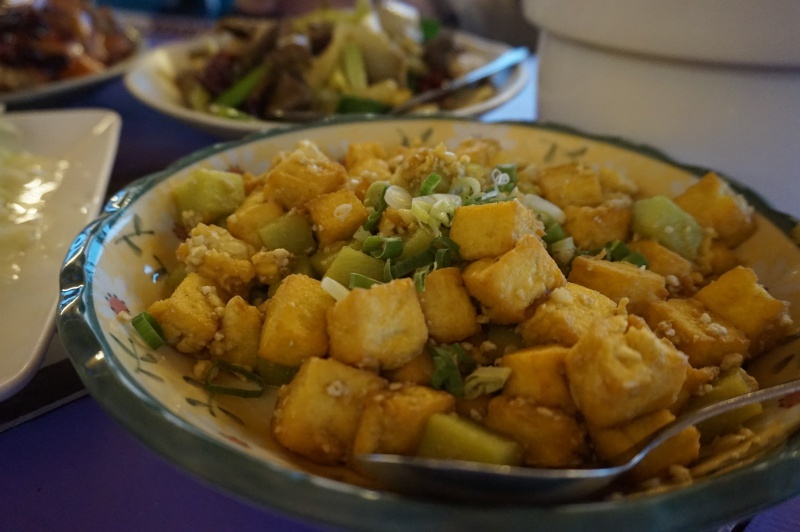 The fried beancurd, fresh and sweet cabbage, tender pork fried with leek and dried chili, deep fried chicken with apples and raisin, none of it was disappointing. We may not be able to verify the authenticity of the dishes but the taste was good enough for a thumbs up. After enjoying the local porridge breakfast provided by the farm, we headed to Taipei for our final destination in Taiwan.